Les Deshane concluded his presentation by entertaining his PCEC audience with a few songs, one being the “Dutchside Song,” which he wrote while living in St Martin; another was a song he wrote in Thailand about overstaying in the Land of Smiles. 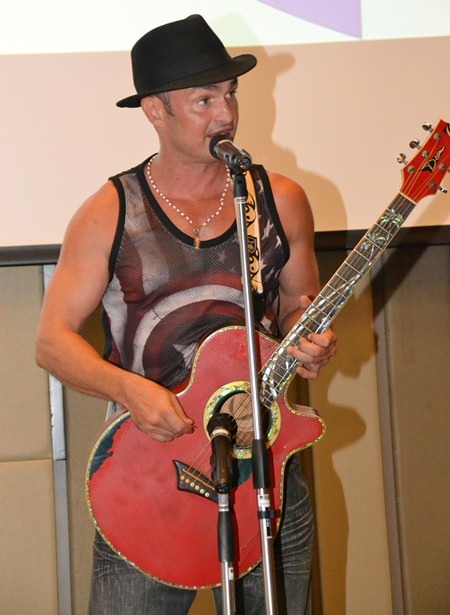 The Pattaya City Expats Club enjoyed a musical morning with legionary singer, songwriter and musician, Les DeShane at their Sunday, October 8 meeting. Les talked about his early years, travel adventures, love life and his passion for music. He also talked about his non-musical interest in martial arts and bodybuilding as well as his proficiency as a photographer and videographer. Les, an American, is originally from the state of Texas and specifically from the city of Houston. He, like many youngsters, was forced to take piano lessons, which he initially detested, but now he says it changed his life. As he became more efficient, he also became more interested in music. His interest led him to become a great fan of Beethoven. His musical interests expanded into other genres, including the locally popular country and western music, then pop, folk, blues and ballads. However, once he picked up the guitar, his world changed once again.. Member Ren Lexander interviews Les Deshane after his presentation. The video can be viewed at: https://www.youtube.com/watch?v=HWjC78Ab__Y& feature=youtu.be. His rebellious youth led him to the Crockett State School for a short period. He turned himself around then entered Sam Houston State University, got involved with the local music groups, then decided to spread his wings and move to the city of New Orleans, Louisiana, about a 5-hour drive from Houston. He talks affectionately about his time as a street performer along the banks of the Mississippi, the birthplace of jazz and famous for the annual Mari Gras. He loves the interaction with local populace and learned important life-lessons. Another street performer told him, if he was to be a successful entertainer, he must first place a rock in a paper sack (to keep the sack in place), learn to understand the audience and play the music they like. Les not only frequented the street performance scene but played more formal venues, in the 5-star hotels, playing concert piano and other genres. As a tireless performer, he also enjoyed composing music of all types, keeping in mind his lesson-learned knowledge of knowing what the audience appreciates. He sings mostly from a list of 500 pop, rock, country and folk tunes that everybody knows, as well as many of his original compositions. Les’s “Vagabond” era began when he decided to move to the Caribbean Island of St. Martin or Sint Maarten (Dutch pronunciation). He started a popular band called the “Jukebox Heroes SXM”, known as “St. Maarten’s Original Dock Party Band” and the “White Boy Reggae”. They became known for an original song Les wrote, called the “Dutchside Song”. This was one of the first songs Les had written and he says that the song made his band “Famous Somewhere”. Les and his group played in the Caribbean area for several years, including the main stage of the Heineken Regatta for three years running. 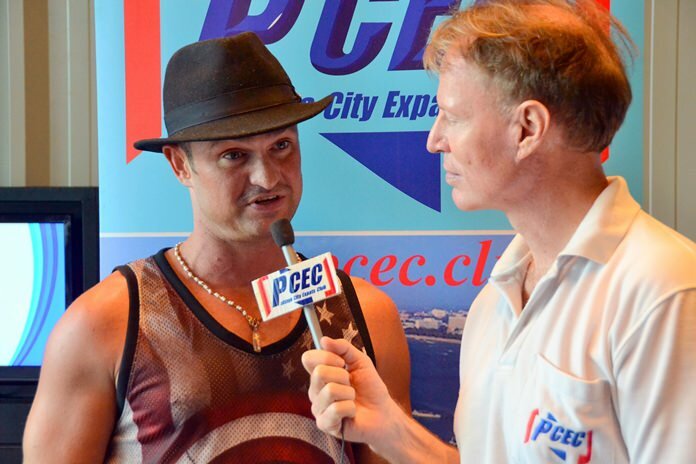 This event was played in front of thousands of sailors from more than thirty-five countries. He then he met a lady who worked for Air France and they moved to Paris. Les and his French, jet-setting “rich” partner, then wife, flew all over the world, playing music in 5-star hotels, venues big and small. 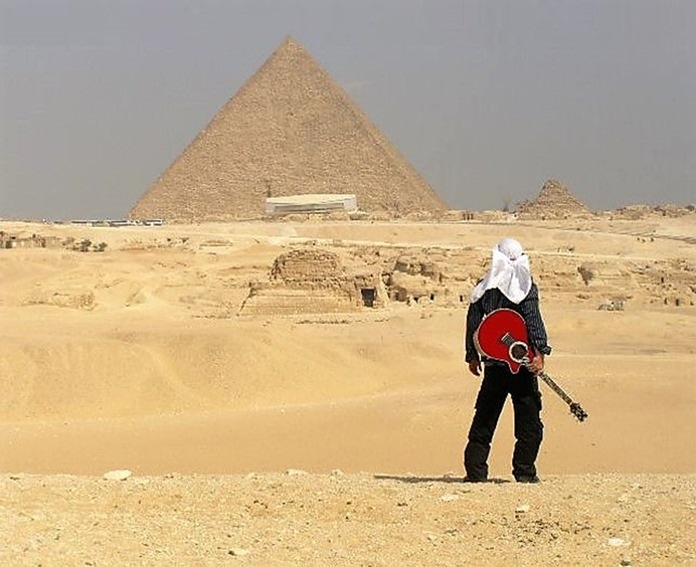 He talks about riding a camel, with his guitar, through the Egyptian deserts, next to the pyramids. He showed a desert poster in front of a pyramid, depicting himself as the “Maestro DeShane” the “Human Jukebox”. He made a YouTube video of the Egyptian adventure. He continued to write music and traveled the world. He booked shows, solo or with a group, sometimes by design (agents/connections), and sometimes by accident, online. He has opened for “The Black Eyed Peas”, “Shaggy” and “Jimmy Cliff”. He still has original songs in rotation on various Caribbean FM radio stations, including Radio France, Transat. He spends time back in his home country and worked with another group he formed there, “The Space Cowboy”. Les returned to France, for the first time in 8 years and then returned to St. Martin. He had been set to retire in Orient village, the nicest part of that island and moved all his things back to St. Martin. When he returned to Thailand, to gather his belongings, he decided to wait and finish recording a new tune that had composed called “Overstay Land of Smiles”. He then ran into some difficulties with his then ex-wife who left him stranded in Thailand with past due rent, bills and no money. He survived and is now residing part-time in Thailand and also spends time in Europe and Texas. He continues to travel the world, working with the Hard Rock Cafes in Japan, Norway, Helsinki, Oslo, Yokohama, Finland and here in Pattaya. He now counts 52 countries where he has performed. Les Deshane showed this photo during his presentation which he noted was taken during his travels; this trip to Egypt and trekking by camel to view the pyramids. Les DeShane is currently playing at the Pagoda House Bar 1 & 2, located just around the corner from Soi Buakhao, into the “Made In Market”, on Saturday evenings. He is also playing every Sunday afternoon at “BBQ Prime Time on the 9”, located in Jomtien on Thepprasit Soi 9, near the extreme adventure park. Les concluded the entertaining program by playing some of his signature songs and also performed a popular western song. He understood the audience and played the music they like.